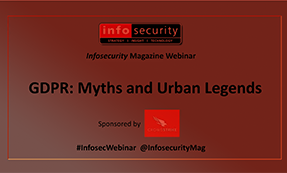 KNOW when adversaries are targeting your organization? GET INSTANT VISIBILITY across every endpoint in your environment? PROTECT YOUR ENTERPRISE against all types of attacks — both malware and malware-free? CrowdStrike Falcon Host stops breaches – protecting the world’s organizations from cyber attacks. 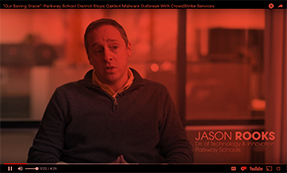 How do you know when adversaries are actively targeting your organization? How do you get instant visibility across every endpoint in your environment? How do you protect your enterprise against all types of attacks? More importantly, how do you stop a breach? CrowdStrike's cloud-first approach gives you instant visibility across the enterprise, protects your endpoints on or off the network against known and unknown threats, even malware-free attacks. 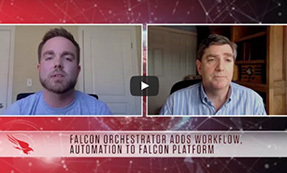 CrowdStrike Falcon deploys in seconds to deliver actionable intelligence and real-time protection from Day One. Falcon combines next-generation antivirus with best-in-class endpoint detection and response, backed by 24/7 managed hunting. Powered by the CrowdStrike Threat Graph™, Falcon instantly correlates billions of endpoint events from across the globe to immediately prevent and detect adversary activity. There's much more to the story of how Falcon has redefined next-generation endpoint protection. But there's only one thing you need to remember about CrowdStrike: We stop breaches.